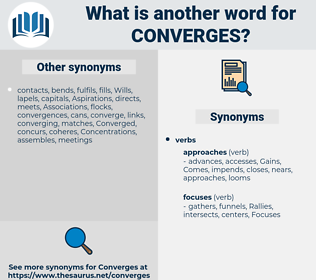 What is another word for converges? 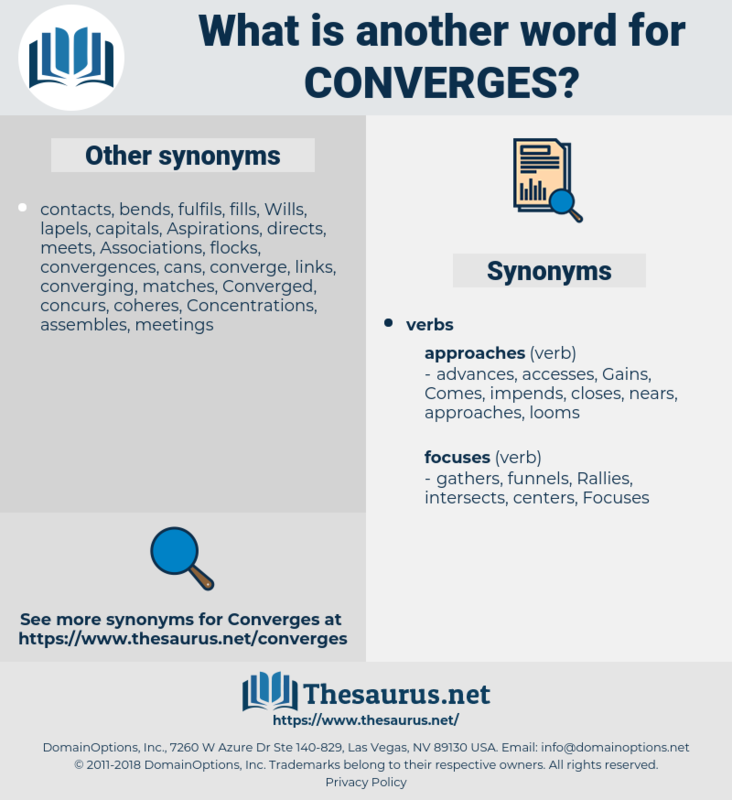 corresponds, coincides, concurs, conforms, intersects, overlaps, agrees, dovetails, matches, Tallies. Chicken Paprikash, cambarus, comprise, camphoric, chimborazo, canebrake, camphor ice, common birch, chambers, camber arch, cambric, cinnamon bark, chicken paprika, Converso, compress, converse, canoe birch, coniferous, cumbrous, camphoraceous.